The artistic director of the only disability-specific off-Broadway theater in New York, knows a few things about being different. The 72-year-old head of Breaking Through Barriers recalls during a phone interview his early sexual explorations. He co-founded Theater Breaking Through Barriers (then known as Theater By the Blind) in 1979 not to be altruistic, but to “support my directing addiction,” Schambelan says. It’s the only off-Broadway theater, and one of the few in the country, dedicated to advancing actors and writers with disabilities. The company can be a tough sell to people wary of disability, Schambelan says. Schambelan, who was raised in West Philadelphia with the theater bug embedded in his DNA, grew up with many of the conflicts around sexuality held by many of his generation. When Schambelan was in junior high a friend invited him to go to a drama at school. In his junior year, Schambelan directed the annual Thanksgiving musical. “It was a big hit and I was hooked to a discipline, directing,” he says. 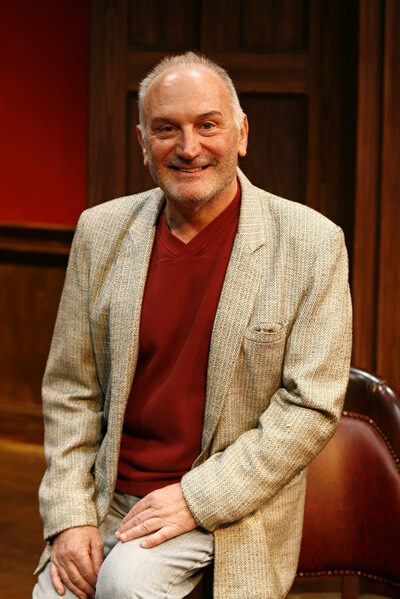 After graduating from Swarthmore in 1961, Schambelan earned a degree from Yale Drama School in 1967. There, his passion for the theater and his burgeoning, conflicted sexuality merged. In the ‘60s and ‘70s, Schambelan directed productions at such companies as Playwrights Horizons and the George St. Playhouse. He shot a TV commercial with Farrah Fawcett (“She was lovely to work with,” he says) before she was famous. Over these years, Schambelan dated women and men. “I’d take up with a woman during the summer and the romance would last until the fall,” he says. The therapist he sees today is completely accepting of his bisexuality, Schambelan says. He admits it’s not always an easy thing to explain.